Smednäset offers 170 pitches, incl. 40 guest pitches. As the campsite is located on a cape, we are surrounded by water. 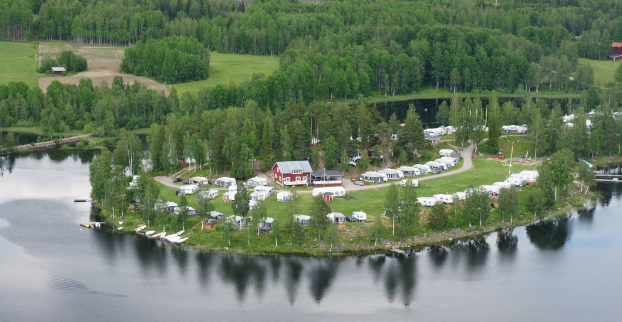 Wherever you are at Smednäset, you are sure to have a beautiful view of Lake Svärdsjön. In high season we have guest hosts who will greet you upon arrival, direct you to your pitch and help you get settled. Contact our guest host by phone; information about phone number is available on signs by the entrance to the campsite. Other times, please call reception +46 (0)70-626 64 43 to notify us of your arrival. We take great care to keep safety distances; 4 m between inflammable materials, and naturally we have EU outlets and 2.5 mm2 cables. Welcome to enjoy a wonderful stay at Smednäset in Dalarna.